Poverty, lack of opportunity and crime means that many families in the town of Guacamayal, Colombia are fractured or experience broken relationships. Stand by Me run a care centre to bring hope and care to children and families in this town. One of our aims is to provide training and support for families so that they can raise their children in a safe, secure and loving environment. To help bring families together, our care centre hosted a day for our children to bring their families to take part in sessions and activities to increase communication between them, help them have fun together and help them bond as a family. The day involved seminars to consider how families can help the personal development of their children, learning conflict resolution and discussions on how to organise free time for the family. The fun part of the day involved the parents and their children working together in team games. This helped both groups learn how best to communicate with each other, teaching them to be patient and helping them realise that together they can be a fantastic team and achieve something great. 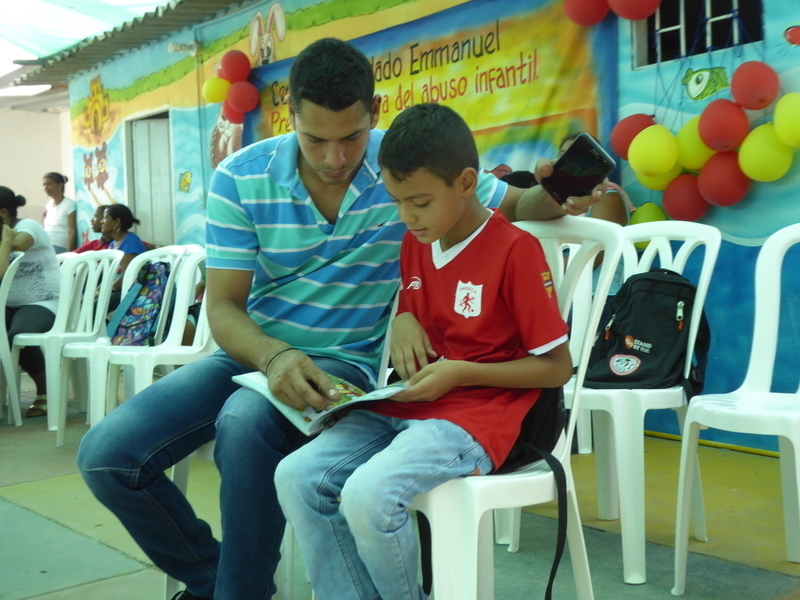 One of the activities was a story reading exercise where parents read a book to their children and the children summarised the story to the group. This helped parents grow in confidence in reading stories to their children, and encouraged them to implement this at home as it will help their child feel loved and special whilst also improving their literacy. This activity demonstrated the simple ways that parents can show affection for their children and how they can use activities like reading to help children feel secure and confident in their parents' love. The day was a great success with a pleasant atmosphere and parents feeling peaceful and relaxed with their children. Our staff at the care centre received fantastic feedback from the parents who said that they would love to attend another family day to help then continue to gain knowledge and parenting skills. A stable, loving and safe environment is so important for a child’s wellbeing and development. That's why our care centre prioritises supporting families in Guacamayal in this way. It is a privilege to see families grow together and see the benefit for the children and their guardians. When we build and strengthen families, you start to change a community. Three teams of runners from Glenabbey completed the Belfast Marathon and fundraised for the kids in our care. Devan tells us all about their marathon relay experience. Kung Hmong has been grinning from ear to ear since joining our Mercy family at our Shan State Children’s Village. Before joining our family, Kung Hmong didn't get the chance to smile much, often survival was the only thing on his mind.